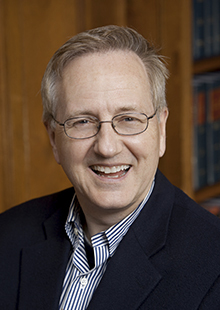 William N. Eskridge, Jr. is the John A. Garver Professor of Jurisprudence at Yale Law School. Educated at Davidson College (B.A., History), Harvard University (M.A., History), and Yale University (J.D. ), he is a leading authority on gay rights and the author of eleven books. John Ferejohn is the Charles Seligson Professor of Law at New York University School of Law. He formerly was a professor of political science at Stanford University, a senior fellow of the Hoover Institution, and a regular visiting professor at NYU Law School. He has taught at the California Institute of Technology and the Research School for the Social Sciences at the Australian National University in Canberra, and he has written on varied empirical and theoretical topics concerning political institutions and behavior, including social choice theory, electoral processes, and theories of legislatures and of legislation. Among his books are Pork Barrel Politics: Rivers and Harbors Legislation, 1947-1968 (1974), Personal Vote: Constituency Service and Electoral Independence (1987), Constitutional Culture and Democratic Rule (2001).